VIVO P7 Portable series by Dexibell has more reduced functions and specs. It’s characterized by small dimensions, simplifying the quick transportation of the instrument. The series includes two versions of the electric musical instrument rendered in different colors. The sound quality of the electric piano is exceptional. However, much attention was paid to the very interaction of the musician with the instrument, allowing to fully experience the piano P7: every subtle nuance in the performing is delivered by the instrument, every aspect of the sound accurately reproduces resonance. Dexibell P7 supports T2L (True 2 Life) technology. This is a completely new technology, specially created for the piano Dexibell. 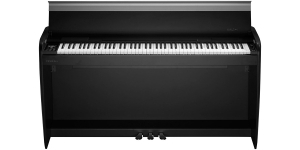 T2L combines the innovations developed to improve the timeliness and accuracy of the timbre relevant to the dynamic articulation of the pianist. 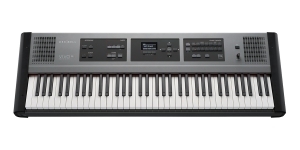 The new 24-bit technology, coupled with a sampling rate of 48 kHz, significantly improved the frequency response and dynamic range of sound, compared to all other digital pianos. 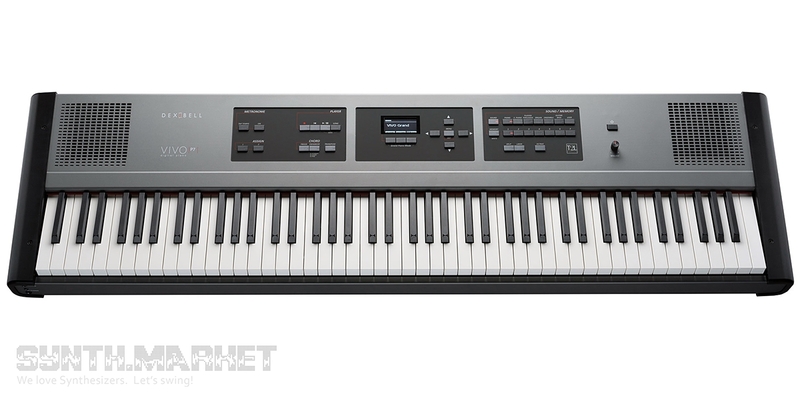 P7 piano has an incredibly powerful quad-core processor capable of managing 320 streams of digital virtual oscillators. This truly huge number of oscillators allows you to simulate all the sound nuances of T2L technology. Unlimited polyphony of a piano promotes imitation of a realistic performing reminiscent of that while playing a real acoustic instrument. P7 is also characterized by the availability of XXL sampling technology, which allowed to increase the duration of the signal of each individual note played (from 3 to 15 seconds) and, as a result, to get amazing realism and natural sound of the instrument. 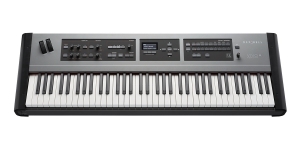 P7 has a weighted keyboard with Ivory Feel technology. The keyboard offers 88 full-sized keys. The instrument interface included a 128x64 LED display with high contrast. It has MIDI, USB, and Bluetooth functions. VIVO P7 synthesizer is a new product released in 2016, designed and manufactured in Italy to the highest standards of production. 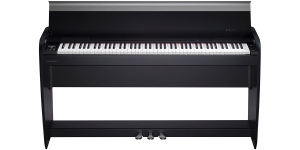 If you are looking for a quality digital piano which is very easy to become friends with, then VIVO piano must be listed at the top of your preferred instruments. 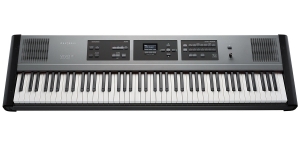 VIVO Stage, Home and Portative models – digital piano lines for home, studio and concert use - begin to be recognized all over the world. 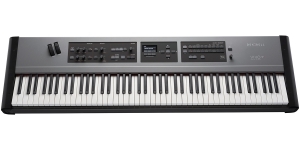 VIVO H3/ H7, P3/ P7, S3/ S7 offer different keyboard versions, the number of presets varies, some feature built-in speakers while some don’t but all of them have the same sound engine – an advanced True2Life; Dexibel provides unlimited polyphony and up to 320 virtual sound oscillators.